The older I get (at the ripe age of 24...ha) the more I'm focusing on taking care of my skin, rather than the makeup I use to cover it. A day where I can wear the least amount of makeup possible but still have flawless glowing skin is a good day for me. I've tried everything in the last couple years: drug store, high end, luxury. 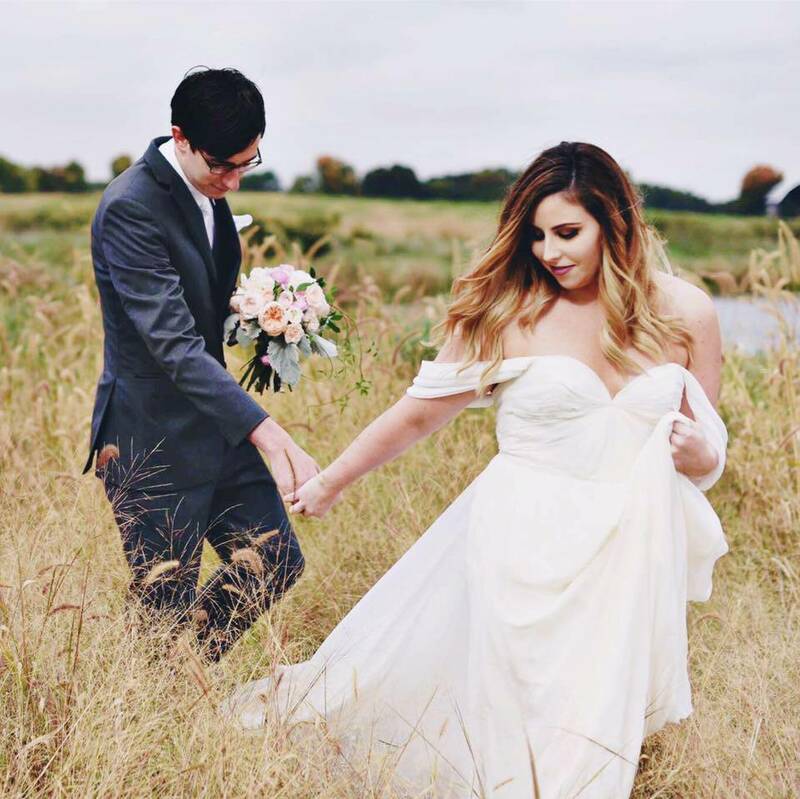 Everything I used was just blah. Until my cousin, a Sephora employee, recommended I try Sunday Riley products. These products' magical results are talked up all over the web. And you will, quite literally, have to pay for it. Sunday Riley products start at $45 and work their way up to over $150. I'm a sampling queen, so I wanted to test out these products to see if they were worth the price tag. I went to my local Sephora where an associate gave me a generous sample of Luna and Good Genes. Luna works throughout the night to deliver more visibly youthful, luminous, even-toned skin in the morning. Trans-retinoic acid ester complex reduces the appearance of pores and wrinkles, while visibly improving the signs of premature aging: fine lines, uneven texture, age spots, dryness, and dullness. Balanced with blue tansy and German chamomile essential oils—both rich in soothing, blue azulene—visible redness and the signs of sensitivity are neutralized for a calm, even-toned complexion. It's clinically proven to improve fine lines, radiance, and skin smoothness in as little as four weeks, while advanced retinol ester mixed with potent botanicals makes this product the ultimate transformational, sleeping night oil. Here's also an awesome interview with Sunday Riley on her product development and performance. Luna and Good Genes fit right in with my current nighttime skincare routine. I used these products along with my usual Kate Somerville Goat Milk Cleanser and Dr. Jart+ Ceramidin Cream. One thing to note: this stuff is smelly. Some people may be turned off by their all-natural scents, but they do dissipate after you apply your other products. Luna smells extremely herbal while Good Genes has an herbal scent with a hint of vinegar. My thoughts? This. stuff. is. amazing. The hype is well-deserved, at least for the two products I tried. After one week of sampling, I saw acne scars disappearing, my skin felt more plump, and the pores on my cheeks and nose are starting to shrink. My makeup applied so much easier and I noticed myself actually wearing less makeup while using these products. My complexion also retained more moisture and looked radiant throughout the work day. I can look past the smell of these products because the results I have seen in just a week are jaw-dropping. I wish I had taken before and after photos, but you'll just have to take my word for it! 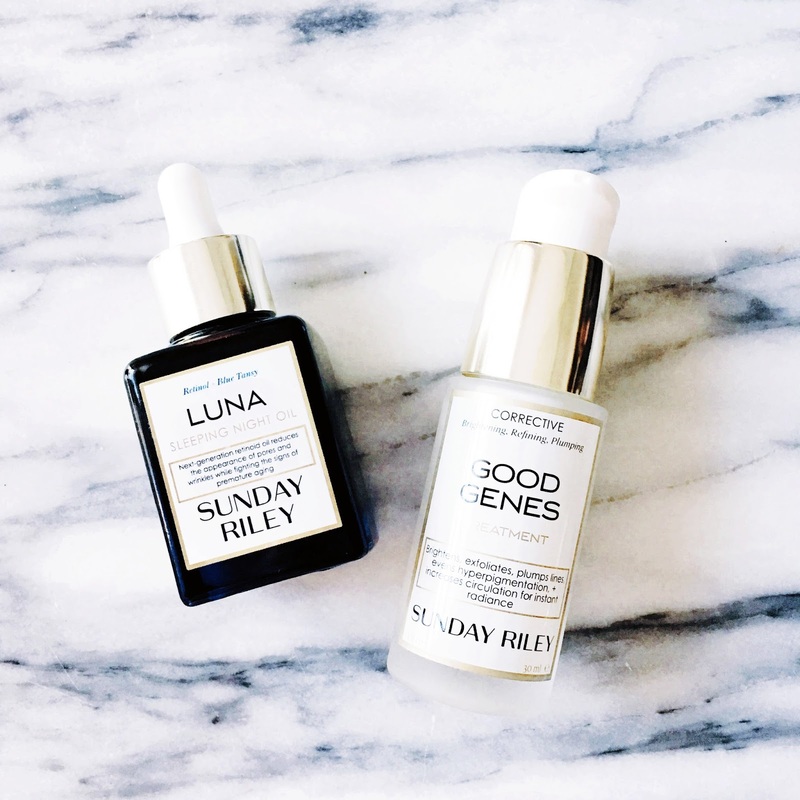 Final thoughts: If you're going to sample anything from Sunday Riley's collection, try Luna and Good Genes. Experience the magic. And happily give Sephora all your money for it.